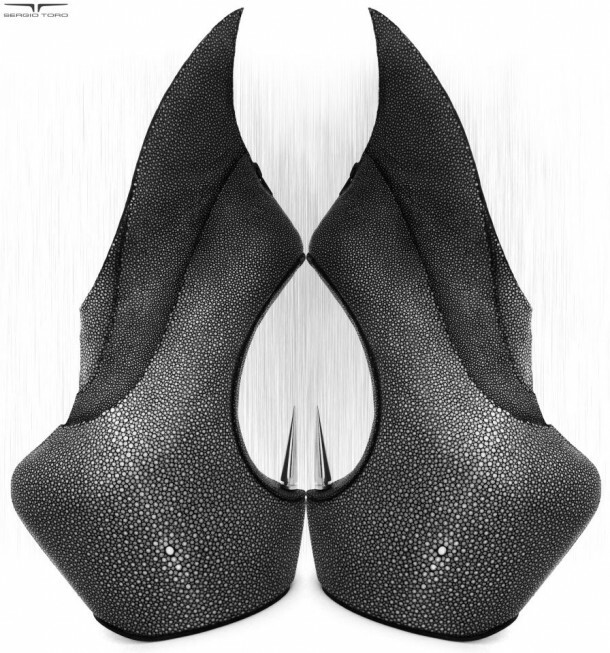 This inspiration is fully apparent in “Manta,” a shoe from his “Wild” collection that is hand-crafted using top-quality stingray skin and which sports a metal “stinger” beneath its heel. 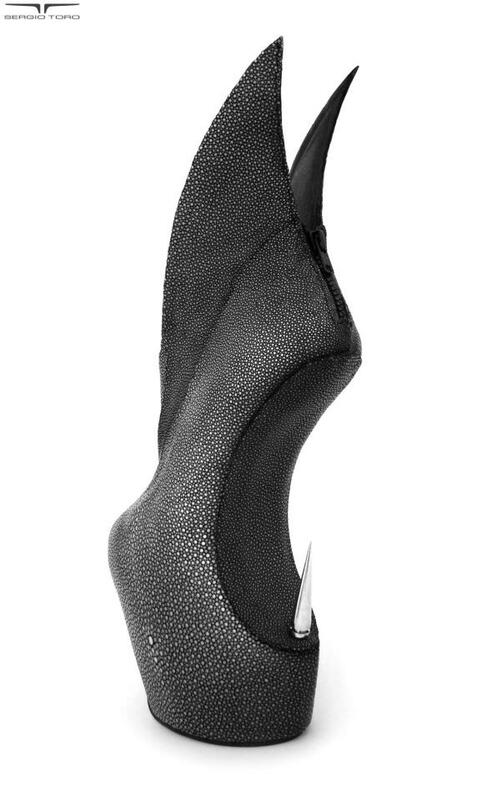 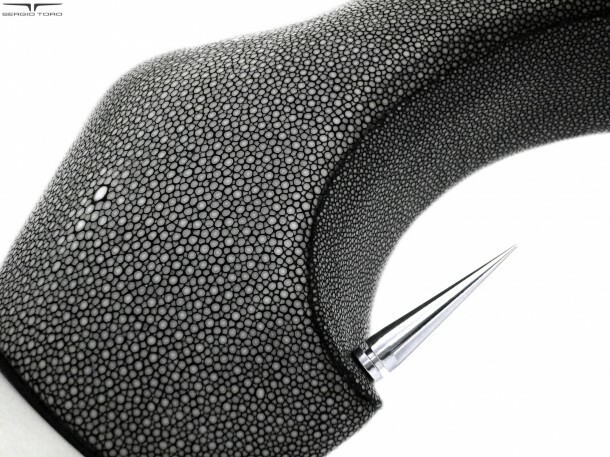 The shoe comes in black, red, cream or a custom color and can be yours for a mere $7,200. 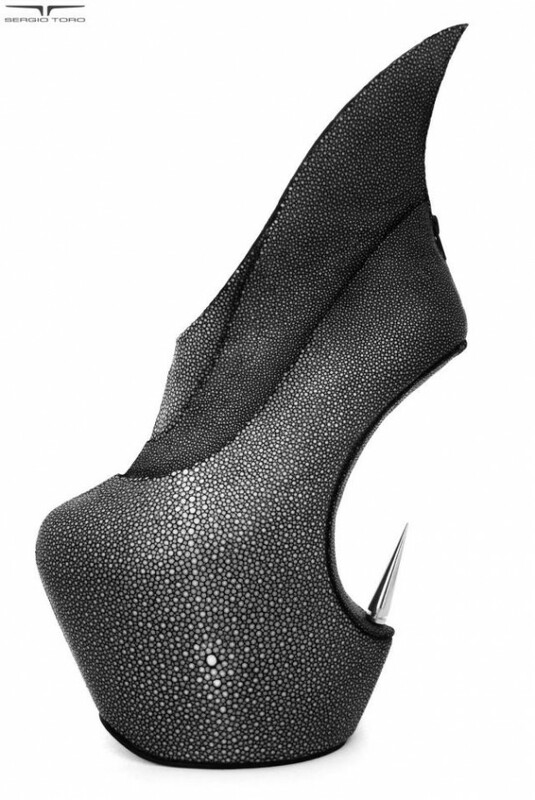 Get your own pair of Mantas here or check out more of Sergio Toro’s “Wild” collection.